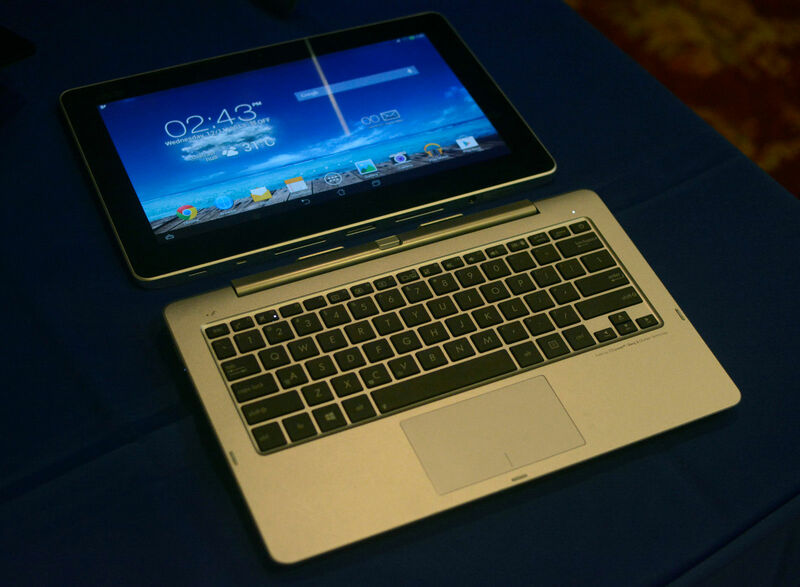 Asus has launched a 11.6-inch ultra-portable that combines a detachable Android tablet with a keyboard dock that can also be used as a self-contained Windows 8 desktop PC as well. 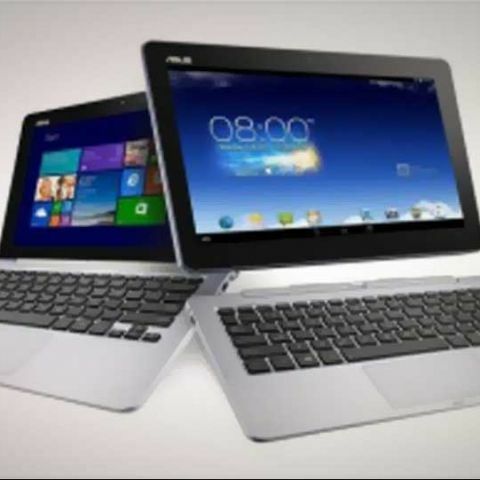 Asus today has announced the launch of the Transformer Book Trio in India, a three in one ultra-portable for Rs.98,099. The Transformer Book Trio is an amalgamation of a laptop, tablet and a desktop PC in one ultraportable. The Trio is powered by an Intel Core processor in Windows 8 laptop mode, meanwhile the 11.6 display detaches from the ‘PC Station’ keyboard dock for use as an Android tablet with its own Intel Atom dual-core processor. The dock can then also be used as an independent Windows 8 desktop PC when connected to an external monitor. 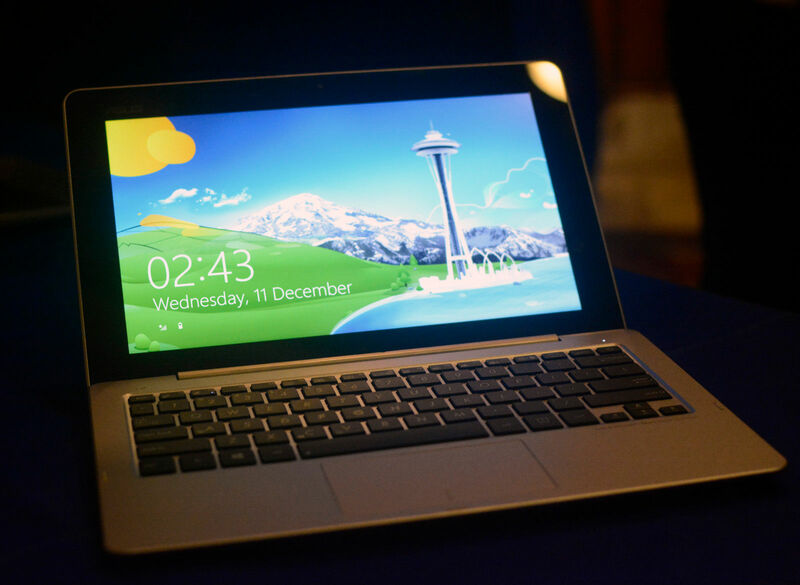 With the display docked, Transformer Book Trio can switch instantly between Windows 8 and Android 4.2 by pressing the dedicated ‘Trio’ key on the keyboard, with data shared between the two operating systems via the tablet’s storage. Unlike other dockable ultraportables, Transformer Book Trio’s PC Station isn’t dead weight when the tablet display is detached. With an external display connected via Mini DisplayPort or Micro-HDMI, the PC Station can then be used as a self-contained desktop PC with Windows 8, which means Transformer Book Trio can be used by two people, in two different places, at the same time. 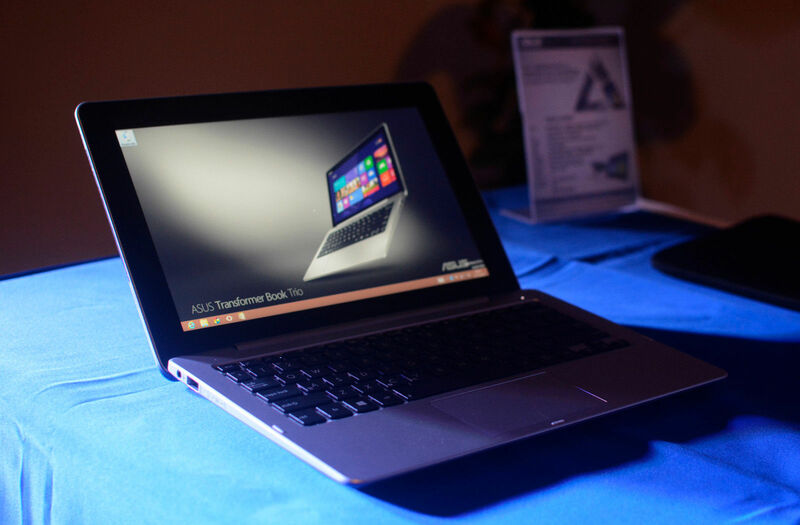 The ASUS Transformer Book Trio will be available in India at an MRP of Rs. 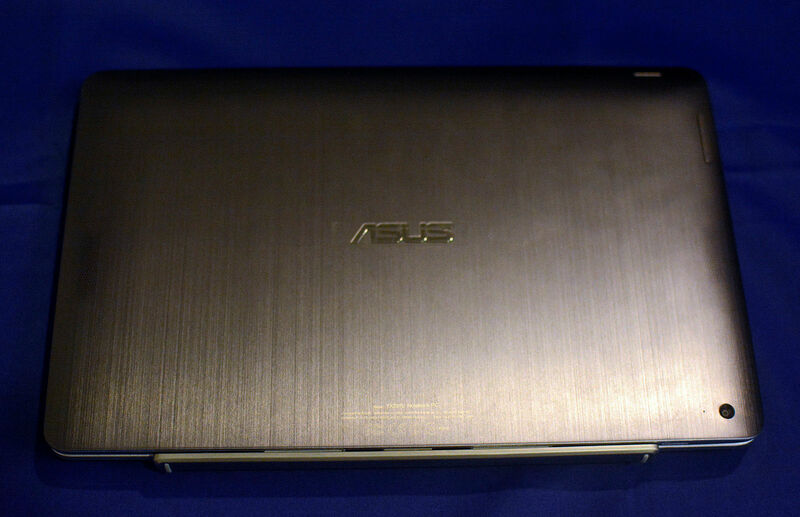 98,099/- across select Asus authorized retail outlets starting December, 2013. For more information visit the Asus India website. 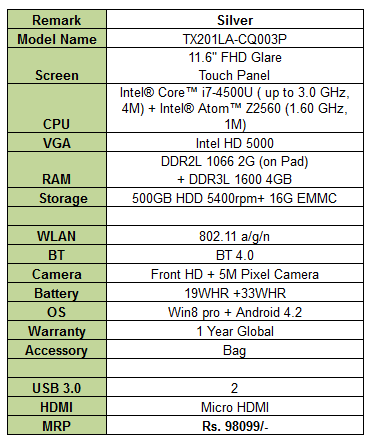 Check out the full specs of the Transformer Book Trio in the table below.